Experience a special place where the sand is sugar white and the palm trees gently sway in the warm gulf breeze. Located on some of the most pristine coastline in Florida, this will be your vacation to renew your mind and spirit. Enjoy the calming sound of the waves as they gently caress the shoreline. The days are filled with carefree sun drenched fun, while the sunsets illuminate the sky with a fiery brilliance unique to the West Coast. 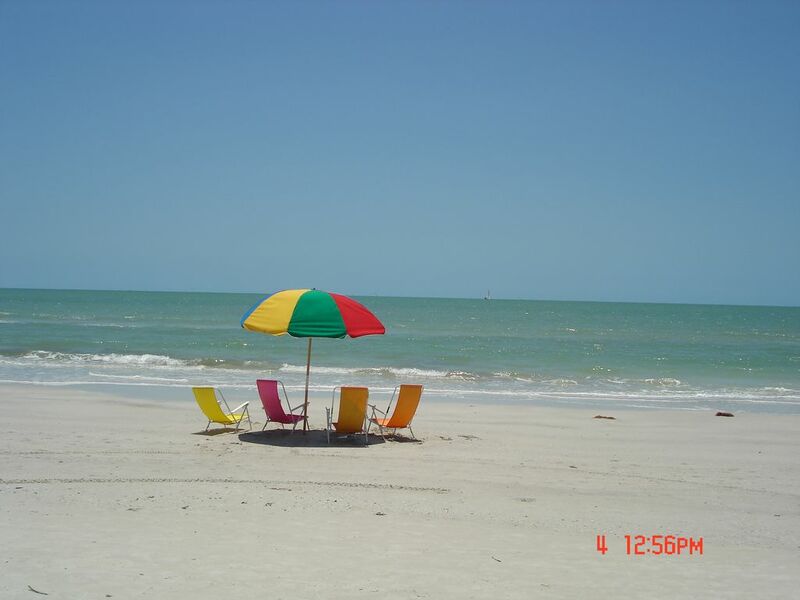 If you’re truly looking to get away, it doesn’t get any better than our little slice of heaven on Fort Myers Beach. Our crystal-clear pool overlooks the white sand and turquoise waters of the Gulf. Take in a game of shuffleboard or just collapse into a chaise lounge and relax! Fire up one of our gas grills and enjoy a great barbecue with family and new friends. When you need a bit of shade just relax under the Gulf front Tiki Hut. Ideal Fort Myers Beach Location…. Seaside only feels a million miles away from the everyday. We’re actually right in the heart of Fort Myers Beach. Conveniently located just across the street you’ll find a Publix Supermarket perfect for keeping your fridge full. Don’t feel like eating in? Superb dining is to be had at The Bayfront Bistro. Want to take a break from the beach? Boat rentals at Snook Bite Marina are also right across the street. The marina features boat rentals, kayak rentals as well as storage for your boat. The truth is you’ll be within walking distance to all the best Fort Myers has to offer, including shopping, dining and nightlife. Convenient to restaurants, shops, movie theater and golf. Colonial Bank, Island Hair Gallery, 7-11 within a mile. Located at the middle of the island, this condo is the perfect retreat for couples and families. Close enough to water sports, fishing and shopping. A mile away is Charley's Boat House Grill which has been a local favorite for over 25 years. Also we are close to the Outrigger. Forget your watch at home, bask in the sun, walk the beach, and enjoy the tropical flowers on Fort Myers Beach where tomorrow will be just as tough! We bought this condo because we know that visitors to the beach want to see the water 24/7. The beach is 7 miles of nice sand and I love to have a reason to go the beach every day. I think the weather was the deciding factor. We are from the Midwest and here in Minnesota, summer is too short. The flowers and the palm trees are so therapeutic that we couldn't resist. We also like the mid-island location as we can access the South end bridge or the North end bridge so it is very convenient. We have all the comforts of home. We like to think that we have covered all the details and we know our guests appreciate the amenities that we have to make their vacation special. Karen, I stayed at your Beach Bungalow at beautiful Ft. Myers Beach the first week of March. I'm an amateur photographer and took about 400 photos while I was there, one of which I submitted to the Star Tribune website for their gallery of vacation photos. Well, they printed it in the Travel Section of yesterday's paper (Sunday May 17th). It made me very happy to be able to share my vacation memories with the paper's readers. Here's a copy for your enjoyment. Feel free to use it anyway you wish to market your wonderful beach house. Penthouse is a stretch! Nice place to stay. Okay. Would have been better with 2 children and 2 adults rather than 4 adults. This condo has everything needed for a stress free vacation. If you love swimming in the ocean (I do) or shelling (my husband does) this is the best place to be. Shopping, dining, walking the beach or taking day trips away are all here. The weather, the white sugarlike sand and being steps from the beach, with no undertow are awesome. Highly recommended. This 5th floor condo gives you an incredible view from your lanai, where you can have your morning coffee or evening meal and watch for the dolphins feeding and the ospreys fly right in front of you! The condo is comfortable and beautiful, kitchen equipped for anything you might decide to cook since the supermarket is right across the street! The owners have provided you with everything needed on the beach as well. Don't think we could have found any two place condo better on the beach! You will definitely enjoy both the place and the beach! We share our love of the beach. Never get enough. Perfect place for a relaxing vacation! The condo was everything I had hoped it would be. It was the perfect place for me and my three sisters. Plenty of room to spread out and had everything we needed. It was clean, nicely furnished, and decorated very cute. The view from the lanai is incredible, watch the beautiful sunset and listen to the waves. The pool was wonderful and the walks on the beach so relaxing. Karen and Don were easy to contact and very responsive. We would definitely stay there again and recommend it to friends. The perfect spot for a relaxing vacation! The condo was everything I had hoped it would be, a perfect fit for me and my three sisters. Plenty of room for us to spread out and it had everything we needed. It was clean, nicely furnished, and decorated so cute. The view from the lanai is incredible, a great place to watch the sunset or have morning coffee and listen to the waves. The heated pool was wonderful and the walks on the beach so relaxing. We would definitely stay there again and recommend it to friends. Karen & Don were responsive and easy to contact. We loved having you as our guests...Hope to see you again, soon. The condo was perfect for an island break from Minnesota cold and snow! The unit was well laid out with bedrooms and bathrooms, and we appreciated the open-concept kitchen, dining room, and living room area. The patio was ideal for relaxing, looking at the Gulf, and listening to the waves. The Publix RIGHT across the street was super convenient, and we found the trolley helpful for avoiding the parking crunch at Times Square. Karen was very helpful and accommodating. Highly recommend! Rates are subject to change until reservation is confirmed.Rates vary by season. Written cancellation of a rental is required at least 60 days prior to arrival to receive a deposit refund minus a administrative charge of $65.